The Solidarity Center works with labor unions in Tunisia to strengthen their capacity to respond to workers’ needs and promote their rights in the face of transition. 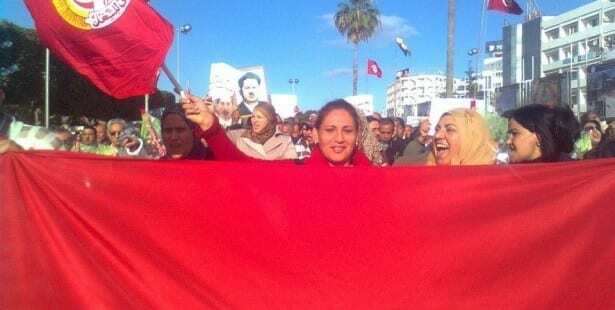 The formation of the Union Générale Tunisienne du Travail (UGTT) in 1946 represented the birth of the national Tunisian trade union movement and its struggle for democracy and social equality. Following the country’s independence from colonial rule in 1956, the organization played a key role in establishing a road map for national development that made Tunisia the most advanced economy in the Arab Maghreb. The transition from colonial rule to democratic government was not immediate. The 23-year reign of Tunisian President Ben Ali came to an abrupt end on January 14, 2011, the start of the Arab uprising. The UGTT played an instrumental role in bringing about the end to one-party rule by supporting the tens of thousands of activists and demonstrators who demanded democracy. Following Ben Ali’s departure, the UGTT helped stabilize the country by keeping workplaces and factories open and brought an end to the practice of sub-contracting in government employment—which resulted in the integration of some 60,000 workers into standard employment. 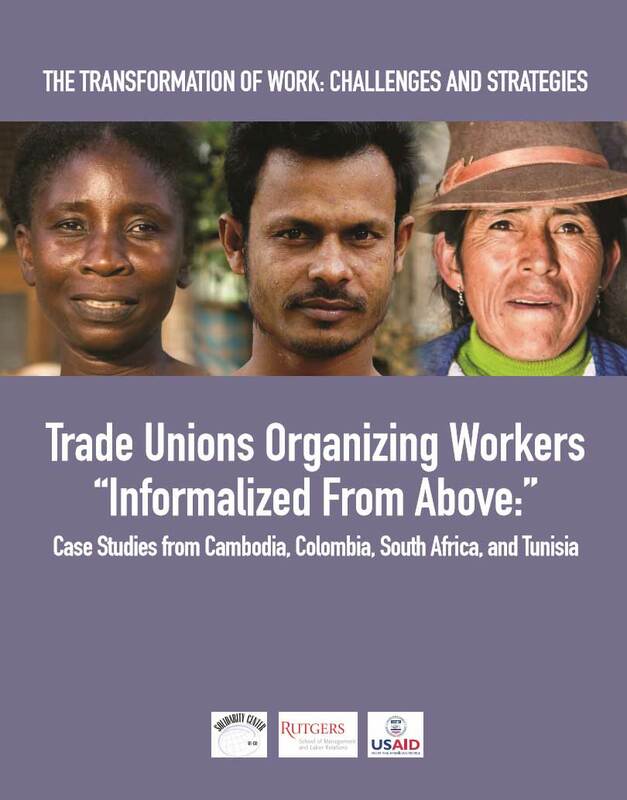 The UGTT, a member of the International Trade Union Confederation (ITUC), demonstrated political maturity by remaining neutral in Tunisia’s first ever truly democratic elections to elect a Constituent Assembly that would form a transitional government. This economic and political strength served the UGTT well and union membership numbers surged following the revolution by more than 30 percent, to 750,000 members. In 2015, the UGTT was a co-winner of the Nobel Peace Prize for its role in brokering a peaceful path to democracy. The Solidarity Center focuses on helping the UGTT address the urgent need to engage with the numerous new members by empowering women and young workers to become more active trade union members, campaign for worker rights and democracy and take part in high-level union leadership. As the country shapes its future, the UGTT remains a source of inspiration and hope for the people and workers of Tunisia, and the Solidarity Center supports the UGTT’s efforts to establish true democracy in the country.